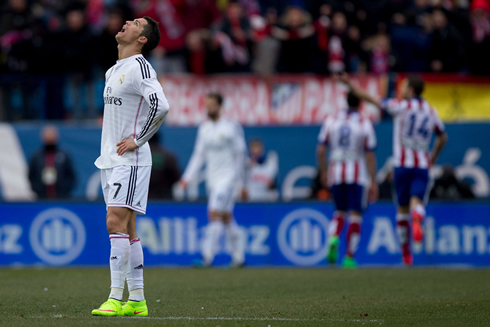 Atletico Madrid ran over their rivals Real Madrid this Saturday afternoon at the Vicente Calderón, by beating Carlo Ancelotti's men with a shocking 4-0 scoreline. Cristiano Ronaldo made his return after serving a 2-game suspension, but just like most of his teammates on the pitch, he struggled to produce anything positive at all. They were step slow, a moment late and every touch was a bit off. Any semblance of fluidity evaporated. The Merengues looked scared and timid and never really had any hope of competing against an Atletico team that seems to relish beating up on Real Madrid these days. The first goal came in the 14th minute. A shot from Tiago outside the box was weakly controlled by Casillas and slowly rolled into the net. It was a huge error from Iker, who seemed to have been blinded by his defense. Merely four minutes later and the score was doubled due to some fantastic acrobatics from Saul Niguez. A cross from Atletico's left back Guilherme Siqueira met the foot of Niguez, who had just come in for the injured Koke, a few minutes prior. The young midfielder instinctively completed an overhead kick in off the post and less than 20 minutes in, Real Madrid were already in dire straits. And it would keep getting worse. The league leaders finished the first half with zero shots on target. 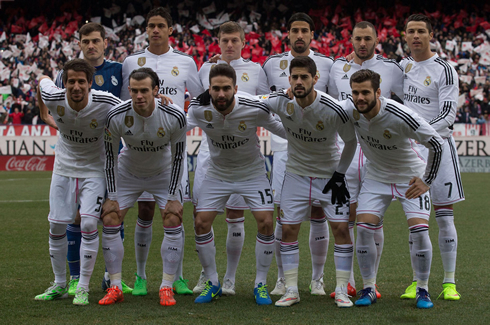 In fact, they finished the game totaling only one shot on target. 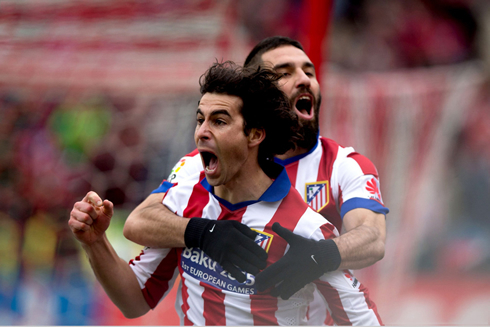 The second half just saw wave after wave of Atletico attack. In the 67th minute, Griezmann finished off a well worked move that left Casillas and the rest of the Madrid defenders scrambling. Atletico would complete the rout in the 89th minute after a header from Mario Mandzukic, as the Madrid defense was again scrambling in no mans' land without a hope of stopping the former Bayern Munich striker. 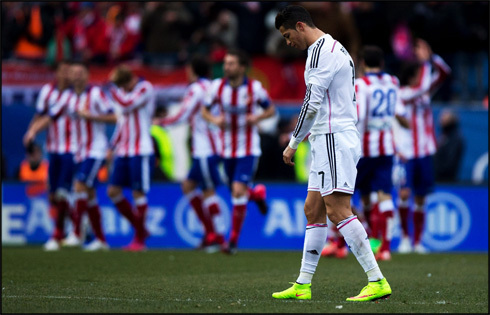 Cristiano Ronaldo next game will be for the La Liga against Deportivo La Coruña, on the 14th of February of 2015. You can watch Juventus live stream, Real Madrid vs Deportivo, Athletic Bilbao vs Barcelona, West Ham vs Manchester United, Burnley vs WBA, and Newcastle vs Stoke City, all matches provided from our football live section.